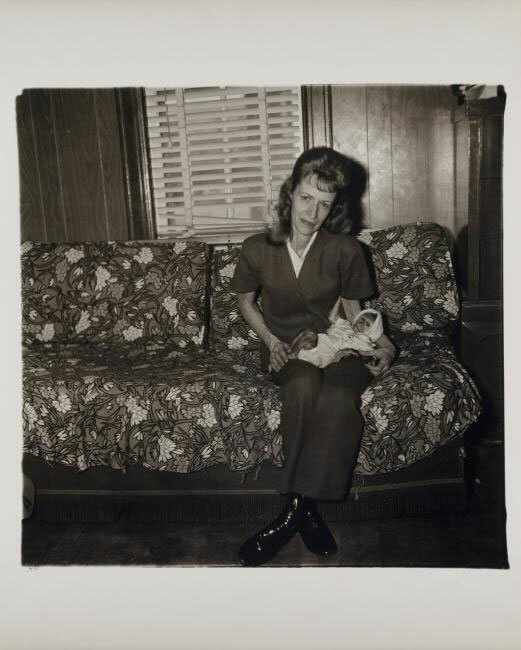 In late 1969, Diane Arbus began to work on a portfolio. She completed the printing for eight known sets of A box of ten photographs, as she titled it, only four of which she sold during her lifetime. Two were purchased by Richard Avedon; another by Jasper Johns. A fourth was purchased by Bea Feitler, art director at Harper’s Bazaar. Arbus signed and titled the prints in all four sets, and each print was accompanied by an overlying vellum sheet inscribed with an extended caption. For Feitler, Arbus added an eleventh photograph. This is the first exhibition to focus exclusively on A box of ten photographs, using the eleven print set that Arbus assembled specially for Feitler. It was acquired by the Smithsonian American Art Museum in 1986, and is the only one of the portfolios completed and sold by Arbus that is publicly held.